Lt. Bill Kortge, Lt. Gaughran, Ens. T. Satterlee, CPO (Beck?),? Row 3: ?,?,?,?,?, L. Roberts ADJ2, ?,Don Watkins,?, J. Cunningham AT3, ?,?, P. Wallace ADJ3, Bill Hearn AMS?, (P. Kissa?),? 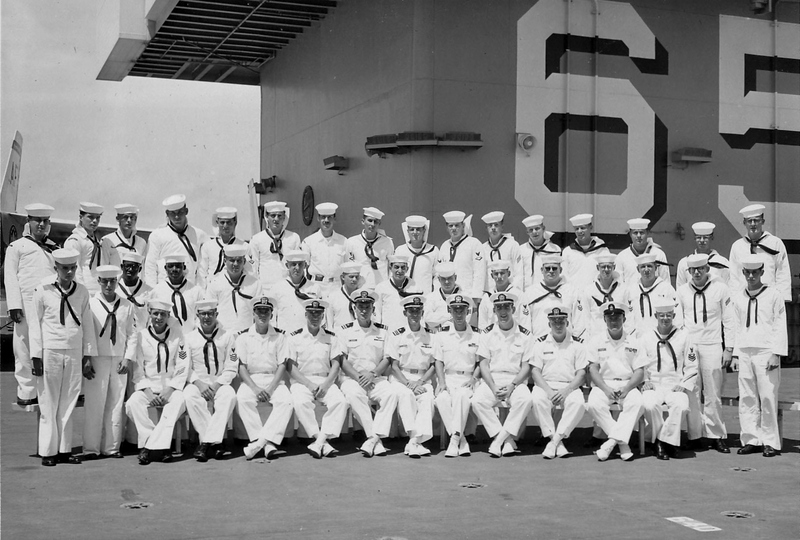 [Webmaster's Note: If you can help to identify any missing names, contact me--link on "Faces of VFP-62"